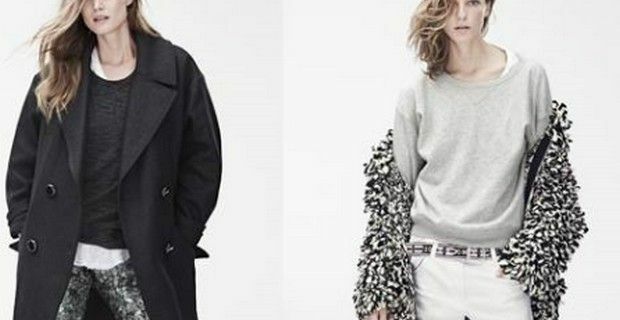 Isabel Marant’s capsule collection for H&M has been the most-buzzed about since the announcement last June and after hitting 250 stores on November 14th, the collection is an overwhelming hit amongst fashionistas around the world. The Fench designer’s collaboration with H&M follows in the steps of other designers who have put their creativity to work for the Swedish retailer such as Stella McCartney, Versace, Karl Lagerfeld, Lanvin, Roberto Cavalli, Comme des Garçons, Matthew Williamson, , Marni and most recently Maison Martin Margiela. Lou Doillon, Alek Wek, Milla Jovovich, Malgosia Bela and Constance Jablonski Isabel Marant fronted the 2013 Fall and Winter French designer’s H&M collection. Marant is known for her Paris chic designs and her knack of mixing urban, boho elegance and rock ‘n’ roll looks, and for H&M, she has delivered a must-have collection not only for women, but for the first time has also designed a collection for men and children. When Marant accepted the challenge she said, “Everything can be mixed following one’s own instincts: my take on fashion is all about personality,” and the collection for H&M is characterized by nonchalance Parisian chic with a touch of metropolitan folk style, that is very feminine. Take the black calf-length, patterned dress in airy silk chiffon with glittery threads in the weave or the mulberry silk chiffon long sleeved blouse with a printed pattern and raw edges without forgetting the smashing racerback tank top in silk in a similar pattern with the same glittery weave that can be paired with the wool jacket with silk lapels and details. There’s also a fantastic lightly padded reversible pilot jacket that is pretty edgy. One side is silver-colored in a jacquard-weave silk and wool blend with metallic threads, while other side in snakeskin-patterned mulberry silk. We absolutely love the coats and jackets that Marant has come up with, like the loop-knit melange wool cardigan with collar, front zip, and front pockets and the short, lightly padded jacket in quilted cotton twill, with beaded embroidery. More serious is the double-breasted coat in woven herringbone or the one in melange with a wool blend, that is passepartout garment that continues to be a classic style year after year. Absolutely stunning is knee-length tiered skirt in snakeskin-patterned silk that would make fashion statement for the Christmas festivities, as would the silk pantswith a printed pattern and glittery threads or the ankle-length sequin embroidered trousers. Marant has included shoes and accessories in her collection that are also available online, so you can easily shop at home.